Clark Seif Clark offers testing and consulting services to help identify asbestos hazards to prevent human exposures and costly workplace violations. For over a century, chrysotile and the other forms of asbestos were used extensively in thousands of building materials and manufactured goods. Throughout the United States, chrysotile is one of the most commonly found forms of asbestos. It is just one of six asbestos and asbestiform minerals that regulatory agencies, such as the Environmental Protection Agency (EPA) and the Occupational Safety and Health Administration (OSHA), recognize and regulate. In addition to chrysotile, the other regulated forms of asbestos include actinolite, amosite, anthophyllite, crocidolite and tremolite. 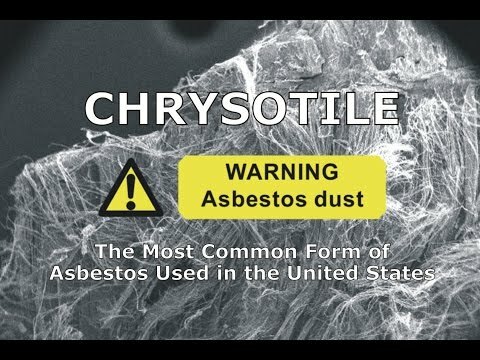 According to OSHA, approximately 95% of the asbestos encountered by abatement workers in the United States is chrysotile. It is also commonly referred to as white asbestos or serpentine asbestos. While some health experts consider exposure to other forms of asbestos to be more dangerous than chrysotile, the International Agency for Research on Cancer (IARC) and the U.S. Department of Health and Human Services (HHS) have classified chrysotile as a known human carcinogen. The major health effects associated with exposure include lung cancer; mesothelioma, a form of cancer that is found in the thin lining of the lung, chest and the abdomen and heart; and asbestosis, a serious progressive, long-term, non-cancer disease of the lungs. To learn more about asbestos or other environmental, health, occupational, indoor air quality, and safety testing and consulting issues, please visit www.csceng.com, email csc@csceng.com or call (800) 807-1118.